The Franklin Food Pantry is here to help you in your time of need. We provide food and household necessities to supplement your main grocery sources. You can visit the Pantry daily for items such as fruits, vegetables, bread and pastry. Before using the Pantry’s services, you must complete our application. Once eligibility is determined, we will assess your needs to determine if there are other resources that could provide additional assistance. As a client-choice pantry, we encourage you to take only what you need. There are quantity guidelines based on the size of your household. We are an alternative to most pantries which provide fixed boxes of food where you do not have an opportunity to choose your items. Monthly shopping for nonperishable staples such as cereal, soup, peanut butter, canned fruits and vegetables, pasta, sauce, and canned stew or chili. In addition, we provide milk, eggs, cheese, meats, fresh produce and bread. Personal hygiene products, such as shampoo and toilet paper, are also available. These visits are done during regular Pantry hours by appointment only. In addition to your monthly appointment, you can also do your full shopping during any of our Walk-in Fridays. You do not need to make an appointment for the Fridays we are open! Please call 508-528-3115 (ext. 1) to schedule your monthly shopping appointment. Daily visits can be made (no appointment is necessary) for fresh produce and bread. Healthy Futures Shelf provides nutritious and fresh food, as well as items to meet special dietary needs such as low fat, no salt, high protein and gluten free. Cooking Matters classes teach families how to shop smarter and cook delicious, affordable meals. The Mobile Pantry delivers food monthly to our low-income housing partners whose residents have difficulty getting to our downtown location. Emergency food bags are given to anyone who comes to our door for help. If they are a Franklin resident, they are encouraged to complete an application in order to receive Pantry services in the future. Holiday meal packages are provided for Thanksgiving and Christmas dinners for our clients who request it. If you or someone you know could benefit from our services, learn how to apply here. 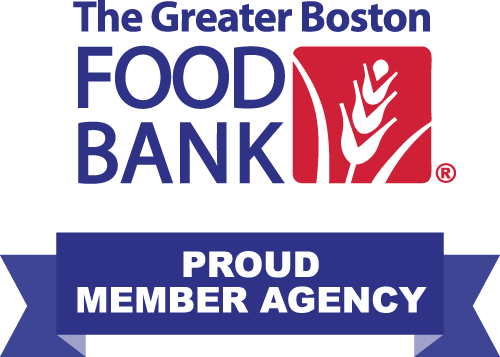 Once you are officially registered with the Pantry, please call 508-528-3115 (ext.1) to schedule your monthly visit. If we are closed or are unable to answer the phone, please leave a message and we will return the call as soon as possible. You may also schedule your next month’s visit during your shopping trip. No appointment is necessary for your daily fresh produce and bread visits. Here are the hours of operation for client appointments and shopping.